Willowridge High School was hit with a mold infestation this summer. The school was shut down for extensive cleaning and all staff personal items and teaching materials were quarantined to prevent another outbreak. Teachers lost all their classroom supplies, personal items, and everything of value in their rooms. Please donate what you can. Proceeds will be donated to the school specifically for teacher and staff needs. ***Update 8/2/17: I have been notified by the school that I can no longer use their name to raise money. We will be switching over to a fund set up by the school. I'll share information about that on the Facebook post. Thank you again to everyone who donated! 1. I don't teach at Willowridge, but as a tech integration specialist for FBISD, I had the privilege of serving the teachers and students there for several years. Mr. Graham is also a former work colleague of mine from Travis H.S. 2. I'll be withdrawing all the funds in my name. 3. I will cut a check for the full amount donated (minus the fees GoFundMe takes out) and deliver that check directly to the staff of Willowridge High School who are currently housed at Marshall High School by Friday, August 4th, 2017. Thank you again for your generous donations. I have been notified by the school that I can no longer use their name to raise money. We will be switching over to a different fund set up by the school. I'll share information about that on the Facebook post. I plan on getting a check for the full amount minus GoFundMe's fees to the school by this Friday. Thank you again to everyone who donated! Wow! we're over $2000 now in under 24 hours! You guys are awesome! Wow! Thank you to everyone who donated. 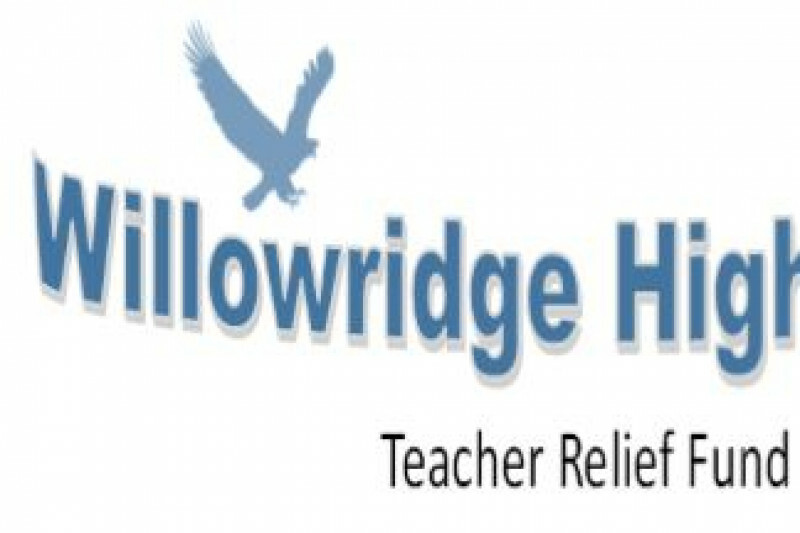 I'm sure the teachers and staff of Willowridge will greatly appreciate your generosity. God bless everyone who donated! It will make a difference!